But it remains a "possibility"
Downloadable content is still a bit of an alien concept for many Nintendo gamers. We’ve had some DLC made available for 3DS titles with the likes of Theatrhythm: Final Fantasy and New Super Mario Bros. 2 having content through internal stores, and Wii had rare instances too, but now that Wii U has arrived the scope for these extras has exploded. We know already that New Super Mario Bros. U will be getting some additional courses provided for it in the future, and games such as Assassin’s Creed III and Call of Duty: Black Ops II are also supporting DLC on Wii U. 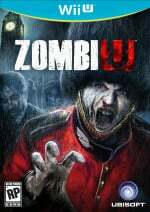 Yet it appears that ZombiU, Ubisoft’s survival horror game, will not be receiving any additional content after its release. Speaking to the latest issue of ONM, multiplayer game director Bogdan Bridinel revealed that the team at Ubisoft Montpellier has no plans on releasing any downloadable content for ZombiU, saying the team managed to fit everything they wanted into the game. A few things that we tried during production ended up on the cutting room floor, but this was because they didn't work out as well as we had hoped, not because the schedule forced us to. There is a glimmer of hope for some extra DLC, however, with Bridinel going on to say that if the game became very successful then “it could become a possibility”. Just how successful the game needs to be is unclear, but it seems Ubisoft is at least open to the idea of bringing DLC to its zombie shooter. What are your thoughts on this? 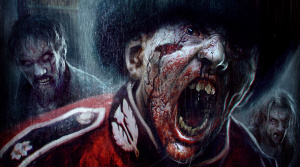 Would you have liked to have seen some downloadable content for ZombiU? Let us know in the comments below. Hmm... What could be the best DLC they could possibly release for it?? DLC is good but if it doesn't add anything useful then it doesn't have a reason to be there. It's best it's left absent rather than bodged on. Horse armor anyone? It would be good to have the option of extra content but it's not a necessity. Besides, it's friendlier on the wallet. Hey, I haven't played more than an hour or so of it, but I like it quite a bit. I have a feeling I might want more after it's done, I wouldn't mind some kind of new mini-campaign or something. Something more like Bioshock 2's Minerva's Den DLC than 'hey a new weapon' or yeah, horse armor. @Jared20098 More melee weapons maybe ? I would buy online multiplayer dlc, "left for dead" style on day one @ubisoft. Do it. You already know the game sells like hotcakes an me personally has pre-ordered the zombieU edition of the WiiU amongst many others. How about fixing some of the criticisms of the game like adding more guns or online multiplayer? A nice dlc would be new weapons that kill zombie with 2 or 3 hits. No DLC isn't a problem and I'm pleased with the way they admit that what they cut will stay cut as it wasn't good enough. That's a silly question, NL. Few people played the game, so how can we say we want more of it? Good games don't need DLC...if Zombie U is a good game, it wont need DLC. I disagree. It doesn't matter how many stages or characters a game has, once people have seen them all, then there is nothing new to discover. Thats where DLC comes in. To breathe new life into old games. Otherwise we have to wait for a sequel. You could also argue if a game was good it won't need a sequel. Mario Kart 7 is a good game but its missing characters and stages that people want and would pay for as DLC. Not all games have DLC because its necessary, most often its because players want more than the game contains. Desire, not need. Actually, people are still buying cosmetic costumes for fighting games that don't affect the gameplay at all. They're not needed at all yet people buy them anyway. Some DLC appeals to me and I am willing to pay for it whereas some does not and I don't purchase it. Its different for everyone. Just because DLC exists doesn't mean you have to get everything of whats on offer. In regards to the infamous Horse Armor, there was an uproar when it was released that it was pretty much useless, it was overpriced and that it added nothing to help benefit gameplay. It's more than enough to prove that unless DLC will add extra depth or entertainment in a relevant way to the gameplay, it shouldn't be there. Yes it's entirely cosmetic but DLC for fighting games isn't the same as DLC such as Horse Armor. Costumes help to add some identity to your character and can be good fun seeing other players online. I've spent hours upon hours customizing fighters in SC4 making them look like Mario, Link etc It's really good fun. It would be boring if everyone looked the same right? Horse Armor was just plain ludicrous. Horse combat in Oblivion wasn't there and you spent pretty much the entire game indoors. DLC when done well can be fantastic. Fallout 3 and New Vegas proved that. On the subject of Bethesda, make FO3 and NV happen on Wii U. Pipboy would just fit perfectly on the Gamepad. Could add DLC to make it a good game. Good. They released a game and that's where they are leaving it. I miss when this was a good thing.